Premium-quality micrograin carbide tips are ground on specialized CNC equipment for an extra-fine finish with maximum sharpness and edge retention. 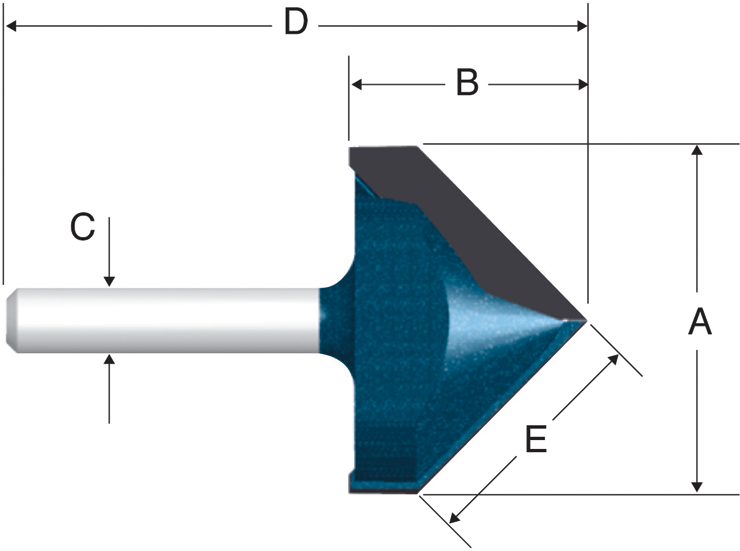 V-groove bit is used for cutting grooves in a variety of applications. The fully hardened and tempered steel shank provides ultimate durability. B. Cutting Edge Length 5/8"